As good as it gets on shared hosting. Not many (if any) faster hosts around. Just 1 minute of downtime in a year, which might've been CloudFlare-related. The. Best. Support. Better than 20+ other hosts that I've tested so far. Competitors charge 2-3x as much for similar amounts of server resources. When it comes to shared hosting, I had a few terrible experiences back when I started creating websites in 2010. I fell into the trap of shady 'top 10 hosting' comparison sites that all listed web hosts owned by EIG (Endurance International Group). Why? Because EIG used to (and they still do) pay the highest commissions per affiliate sale. So, I was stuck with HostGator at first, and then iPage, which was even worse. I suffered for 7-8 painful months at the hands of iPage, as they denied to refund my money, and I didn't have $100 more to invest in a new host, as I was 12 at the time. In 2011, after hours of browsing WebHostingTalk (a legit web hosting forum), I found out about a small hosting company called MDDHosting (my review). Although they were slightly pricier, but they reminded me why the phrase you get what you pay for is so true when it comes to web hosting, at least. From 2011 to early 2017, MDDHosting was my shared host of choice. But with time, as MDD started growing rapidly, I felt like the kind of personal treatment that I became familiar with, was gone from their support. Meanwhile, I had been hearing endless praises about another relatively smaller company called ExonHost. So, in 2017 I signed up for their Turbo Diesel+ plan. They've been in the business for almost a decade, and offer 5 different server locations - 3 in the U.S. (Dallas, Los Angeles & New Jersey), 1 in Asia (Singapore) and 1 in Europe (Germany). This is my detailed review of ExonHost after using their service for a year. I could've left it at just the screenshot above. But instead, I'll try to explain why I was able to achieve that speed on one of my sites hosted on ExonHost, and how they are probably serving pages that fast. The first reason is the LiteSpeed server. It's significantly faster than regular Apache servers that you get with most other hosts. Why doesn't everyone use LiteSpeed, then? The answer is: it costs licensing fee to run LiteSpeed on any server. Cheapskate web hosts avoid paying that fee by using Apache (which is free) and hope their customers won't notice. Secondly, because the server is powered by LiteSpeed, the site supports the LiteSpeed Cache WordPress plugin, which is, in my opinion, the best WordPress caching plugin ever created. And the good part? It's free! You can use it on any website that's hosted on a LiteSpeed server. Lastly, WordPress sites love me because I treat them well. 😛 No, it's just because the site is very well optimized. It's nothing new to me because before I became serious about SEO, I used to offer WP optimization as a standalone service. ... And from the HTTP error code my uptime monitoring tool informed me about, I suspect even that was because of CloudFlare instead of ExonHost themselves. 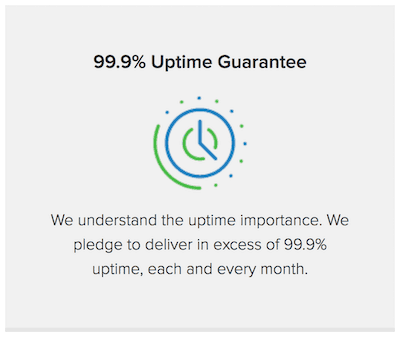 It's worth noting that they do offer an industry-standard 99.9% uptime guarantee. In reality, though, it was much much 'in excess' of 99.9% when you subtract 1 minute of downtime from around a year. I could write a long story about ExonHost's extraordinary support department, but I won't. I'll try to keep my positive feelings in check and present an objective overview of why I've never experienced a hosting support as good as ExonHost's. The onboarding process was extremely smooth. They didn't complain even once before swiftly migrating around 8GB of my data from the previous host, for free. Lots of big names in hosting charge you for migration if the size of your existing hosting account exceeds around 1-2 GBs. 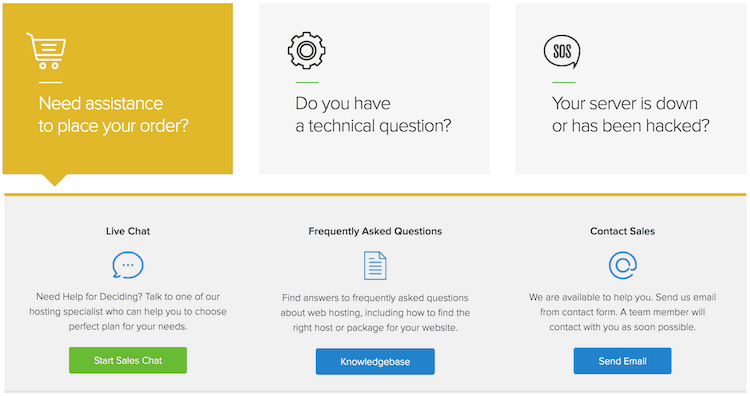 They offer help with your sites' areas like optimization and security, which are technically outside the scope of support for any web host. Once, one of my sites started experiencing a (HTTP <-> HTTPS) redirect loop, and I couldn't figure out what was causing it. Upon letting them know about it, it was promptly fixed within minutes by Saleh Ahmed, the owner of ExonHost, who also happens to be a server admin himself. I received lots of help from them in setting up proper email security records like SPF and DKIM. 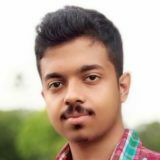 Their head of server management, Saleh Ahmed, is especially very knowledgable about everything imaginable when it comes to server side stuff. And he always goes above and beyond in helping you with whatever you're attempting to accomplish. Other than these, I really liked the transparency about their service. They maintain a dedicated server status page which shows the current status, server load, and uptime for each of their servers. I don't know of any other shared host that displays all of these crucial data openly to their customers. Other than the standard email/ticket support, they offer 24x7 live chat support. They also provide a '1 hour reply guarantee' for support tickets. Though I usually got replies to my support tickets much quicker than that. The number of domains you can host on them. Server resources like storage, bandwidth, RAM and CPU. It's worth noting that though the Advanced and Turbo Diesel+ plans still fall under shared hosting, the amount of server resources offered by them can match, or even outmatch some semi-dedicated hosting plans offered by other hosts. For example, MDDHosting's PR4 (premium hosting) plan offers roughly the same amount of resources as the Turbo Diesel+ plan of ExonHost, but costs more than double the money ($50/mo vs. $19.99/mo). And even then, it offers 5 less entry processes (45 vs. 50). Because of ongoing promotions, and as I signed up for a very long period, I ended up getting the plan for about the same price as MDD's mid-tier shared hosting plan. Astonishingly, that plan offered 8x as much resources as MDD's shared hosting plan, and there wasn't a single thing that they lacked which MDD had. Also, if you need to eventually switch to a VPS or even a dedicated server in the future, you won't have to change hosts because they have those as well. So, unlike cheap shared hosts with whom you're pretty much stuck in shared hosting forever, ExonHost actually offers the scalability that sites having a high potential of rapid traffic growth need. Let me draw the conclusion on their service by sharing a real story of someone who got in touch with me because his site was constantly hitting the resource limits of the VPS that it was hosted on. Contrary to popular advice (which would've be: "time for a dedicated server! "), I suggested him to move the site over to ExonHost's Turbo Diesel+ server, and implement LiteSpeed Cache upon doing so. Believe it or not, his site has been running smoothly ever since, all while using less than 5% of the allocated CPU power on average. They frequently run promotions, so you should be able to get some discount over the listed price of all of their plans. As you have the 30-day money back guarantee to fall back on anyway, try signing up for longer terms to get higher discounts, that's what I did. In summary, right now I'm happier with ExonHost than I have ever been with any other host. I'll update this review if this view changes any time in future, of course. But that seems very unlikely given the kind of service I've been receiving over the past year. So, have you tried ExonHost? Leave a comment below about your experience with them. Also, if you're considering signing up and have any questions, feel free to leave them below, as well.